Listening Time: 10 hrs., 23 min. If you haven't read this series please...stop here go back and start reading or listening because it's all on audio. So either is good...trust me I've done both read the the series and listened to the audio and truly either format is very good. I know I've already done one big long rambly review extolling the virtues of this book...actually of the whole series and truthfully I'll probably borrow some bits and pieces from it to use in this review, but if I do I promise I'll try to keep it to a minimum. There's a quote that starts something to the effect of 'start as you mean to go on' and when I think about this series I truly feel that's what TJ Klune has done with this series. He began by giving us a story, one that we could relate to, with characters that we'd care about...invest a bit of ourselves in and take into our hearts and love and we did...or at least I know I did and I'm pretty sure a lot of my friends who read these books did as well and now here at the end of the journey we are once again given those same characters and even though this is their good-bye they have stayed in my heart and for all the hours that they've spent sharing their time with me they will remain firmly tucked into a corner of my heart. When this journey started Bear was just finishing high school and the Kid well he was just that 'a kid' just a little guy and throughout the course of these stories we watched them grow up...going from a young man and a kid to grown men who have fallen in love, gotten married and now have children of their own. They've shared their happiness and their heartache with us, their good times and their bad and in return we've given them our tears and taken them into our hearts. I've read more than a few series from start to finish and I have to admit some have had amazing endings and some have been more than a little disappointing. 'The Long and Winding Road' for me was a perfect fit to the rest of the series. This is good-bye it's a glimpse at the past and everything that's gone before to make these men who they are but it's also a look into a future...one that's filled with love, laughter, good times, bad times and hope...always, there is hope. Sean Crisden was the narrator for this final audio book and while he hasn't narrated all the books in this series, he has narrated 3 out of the 4 and I have loved every one of them. I'm a fan of Mr. Crisden and yes, honestly I am listening to one of his other audio books as I type this review...like I say "I'm a fan." With each story he's given us a solid and consistent narration adding depth, dimension and life to the characters and the stories. Sadly 'The Long and Winding Road' is the final chapter in the journey that we've taken with these characters. I had mistakenly thought it would be easier to travel this road this time because 'Hey, I've already read the story. I know what's going to happen, right?' well, yeah that is correct but somehow the sad was just as sad, the happy was just as happy and the funny was just as funny as the first time around and I'm pretty sure that times number 3 and 4 and so on ad so on are all going to be just as enjoyable because while the this may be the end of the journey it's not going to be good-bye for me as long as there's a play button on my computer, e-reader, whatever I'll be spending time with these stories. Well go me, I've gotten this far without having to cheat and use anything from my original review so I think I'm going to quite while I'm ahead and I'll just say 'The Long and Winding Road' is the last leg of the journey for 'Bear, Otter & the Kid' if you've read it all like me than you know that audio or e-book this series is time well spent and if you haven't...well, damn you were suppose to quite reading this review back up at the beginning...obviously you're one of those people who don't follow instructions well...lol!!! Welcome to the club and as your initiation you need to go check out this series, go on it's worth it. 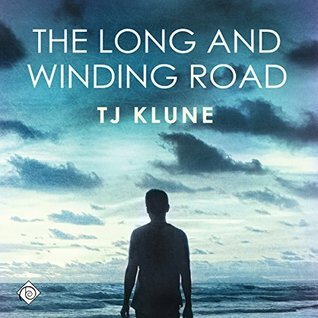 An audio book of 'The Long and Winding Road' was graciously provided by the publisher in exchange for an honest review.